If you're thinking about upgrading your heating system, maybe it's time to weigh the many benefits of radiant heating. 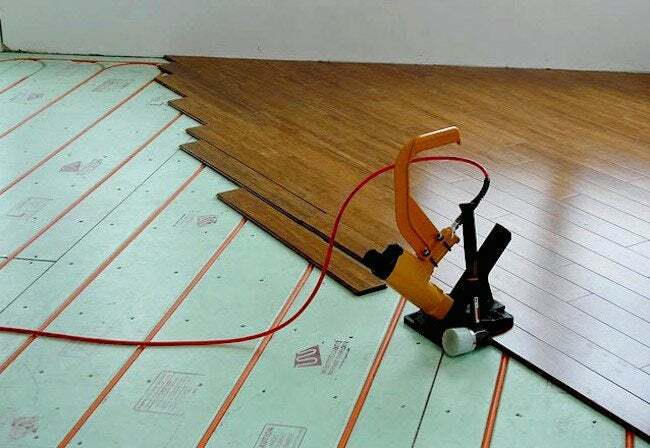 Despite all the attention radiant heating has received over the last few years, you still might not regard it as a viable alternative to traditional systems, such as hydronic baseboards or forced-air furnaces. Part of the confusion is that radiant heating shares some similarities with floor warming, a stopgap option for small spaces that tend to get chilly. The reality is that radiant heating can heat your whole house, fully replacing your existing system. In fact, if you are contemplating a major renovation project, there are several reasons why you might want to include radiant heating in your plans. In a room with a radiator, baseboard, or duct register—that is to say, in most rooms in America—it’s warmest right near the heat source and gets cooler the farther away you move. As a result, the room winds up unevenly heated. You might find yourself needing a sweater while you’re sitting on the sofa, and then wanting to shed the extra layer when you’re working at the desk. In contrast, radiant heating installed beneath the floor delivers warmth across virtually every square inch of the space. When exiting one room and entering another, you can expect no change in the temperature. That means you can say goodbye to the discomfort of a stifling hot upstairs and a constantly chilly ground floor. Radiators hiss, bang, and clank. 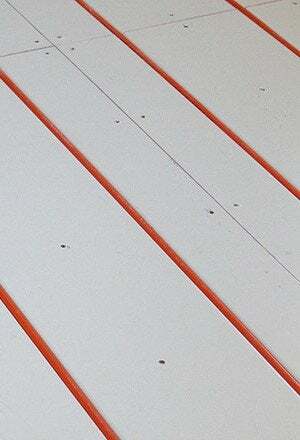 Baseboards click—incessantly. And blowers can sound like airplanes taking off. Radiant heating, meanwhile, operates silently. When you remove your radiators, baseboards, or furnace in exchange for radiant heating, you eliminate disturbing noises. Dust, allergens, germs and other irritants build up in, and then circulate through, forced-air systems, the most common type of heating in the country. Forced-air systems also tend to lower the humidity level, effectively drying out the indoor air. That dryness too can lead to respiratory distress. Radiant heating creates no such problems; in fact, it solves them. Because it lies under the flooring (and sometimes, if you choose, behind walls), radiant heating remains out of sight, neither contributing to nor exacerbating any issues related to indoor air quality. For allergy sufferers and others concerned about sickness or family health, radiant heating is a breath of fresh air. Replacing your existing system with radiant heating may at first blush seem like a prohibitively expensive proposition. Certainly, it’s probably not a wise choice for homeowners who plan to move within a few years. But for others, radiant heating, despite the cost of installation, can translate over the long haul into real savings. From the moment you begin relying on radiant heating, your monthly utility bills are going to go down and stay down. Why? Because radiant heating requires less energy to keep your house as comfortable as your old system did. For example, in a traditional hydronic heating system, water must be heated to 140 degrees Fahrenheit (or more) in order to put out a comfortable level of heat through a radiator or baseboard. Compare that with the radiant heating offered by Warmboard: To keep a home equally comfortable, Warmboard only needs temperatures between 80 and 108 degrees! This not only saves energy, but it extends the life of your heating appliance. Plus, because radiant heating, well, radiates up from the floor surface, not from a single source in the room, it doesn’t need to work as hard to reach a target ambient temperature. Energy use declines, and your savings go up; so too does your level of comfort. And really, what price can you put on that?